Spring is finally here, and it’s time for spring cleaning. Don’t have time? Let us handle the tedious cleaning tasks so that you can stay focused on your projects. Before you choose your cleaning company for spring cleaning, make sure you check their reputation and references. We decided to offer a spring cleaning special at $240 for six hours of house cleaning (reg. $275) Call us now to take advantage of this limited time offer at 805-698-3132. New customers only. Appointment required. Limit 1 per visit. No cash value. Not valid with any other promotion. Tax and gratuity not included. General cleaning. 24 hr. cancellation required or voucher is subject to forfeiture. There are many so called molly maid cleaning service cleaning companies in the listings of Santa Barbara cleaning services, but not all maid services have the highest company standards which set them apart as the best maid services. Ask for references as to the quality and professionalism of their house maids. Remember to actually follow-up with the references given to assure you are making a wise choice. Also, look into the local BBB and see if the company has a good standing there. Next, ask about the licensing and bonding of the housemaids that will be on your premises. In today’s world, having an uncovered person in your home will expose you to personal liability unless the cleaning maid is duly covered by the maid services you employ. Find out if the company has forthright billing fees. If the schedule of fees the housemaid carries is so complicated that it confuses you – so will the bill; stay with cleaning services in Santa Barbara that have simple, easy-to-understand fee structures. 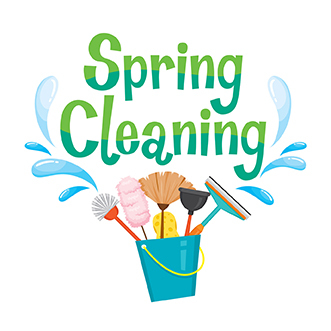 If you need help with your spring cleaning this year, call us for an instant quote. We love organizing and making places fresh and clean! We deliver fantastic service to you at reasonable, competitive rates with a satisfaction guarantee. We also carry green, eco-friendly products…and we monitor our cleaners and provide a cleaning checklist to insure that our cleaning specialists provide a high-quality cleaning service. 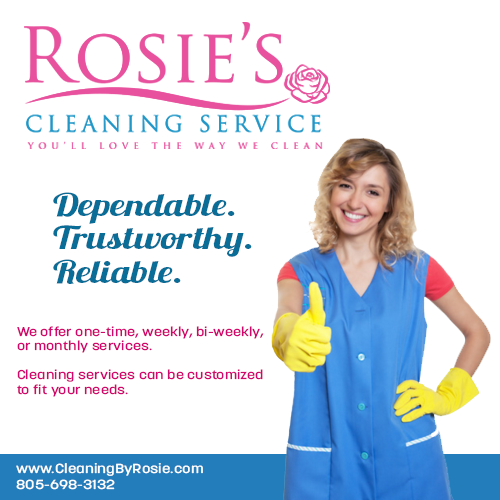 Rosie’s Cleaning has been family owned and operated locally since 1990. Our mission as a local cleaning service is to provide high quality cleaning while keeping costs affordable. We offer discounts to seniors and free one-time cleaning to cancer patients. It brings us pleasure to be able to provide this service to someone who could not otherwise afford a professional cleaning. Let the professionals do the work for you! 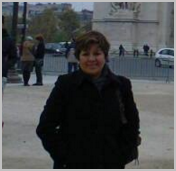 Our cleaning experts are well trained and supervised during work sessions. Get a quote by calling 805-698-3132. Our Santa Barbara cleaning experts will have your home clean and shiny in no time.